First Baptist is a Church in South Bend, Texas. 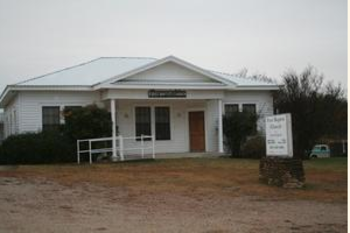 We are located just off Highway 67, located 9 miles South of Graham, TX. Our church is all about Jesus. Whether you have been a follower of Jesus for years or are investigating Him for the first time, FBC South Bend is the place for you. Our hope is that through everything we do you'll be drawn to Jesus! Visit us this weekend and experience FBC South Bend for yourself. If you are considering a new place of worship or a relocation to the Graham/Breckenridge area, we would love to have you be our guest. sorry it’s been a while but updates to the site are coming soon! Ironmen 2018 was a Success! a great time was had at Ironmen 2018! The worship service was wonderfully inspiring. Brother Bosher and Brother Reavis did an amazing job bringing the word of God!